Precious metals futures advanced together Wednesday for a second day in a row. Gold and silver closed at fresh multi-month highs and each marked their fourth straight session gain. 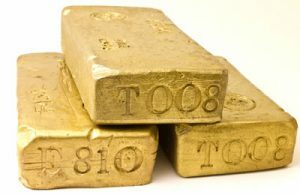 Gold for April delivery — the new, most active contract — inched up 30 cents, or less than 0.1%, to settle at $1,315.50 an ounce on the Comex division of the New York Mercantile Exchange. The finish was the highest since May 14 when gold ended at $1,318.20 an ounce. Gold futures ranged from a low of $1,313.50 to a high of $1,328.60. They rose 0.5% on Tuesday and added 0.4% on Monday. Silver for March delivery rose 8.8 cents, or 0.6%, to close at $15.927 an ounce. The settlement was the strongest since July 12 when silver settled at $15.977 an ounce. Silver futures traded between $15.82 and $16.12. They added 0.5% on Tuesday and climbed 0.4% on Monday. April platinum gained 40 cents, or less than 0.1%, to $816.20 an ounce, ranging from $814.60 to $823.80. Palladium for March added $12.80, or 1%, to $1,316.40 an ounce, trading between $1,297.70 and $1,324.10. Gold added $5.40, or 0.4%, to $1,307.55 an ounce. Silver rose 17 cents, or 1.1%, to $15.855 an ounce.